The weather was pretty awful on our last day in Paris, so we decided to use the full day to shop (I say shop, it was mostly window shopping and stroking designer clothes that I couldn't afford). Paris has two absolutely humongous department stores, Printemps and La Galeries Lafayette so we started our day having a browse around them and buying some last minute souvenirs. Printemps was my favourite of the two (although LGL is much prettier!). It has an enormous beauty hall and twenty-seven floors of fashion, homewares and accessories split over three buildings . I loved strolling around and looking at the designer clothes, but I have to confess after wandering around its many acres the whole experience does become a little overwhelming after a while! The photo below is the view of the Eiffel Tower and the street below from the Printemps roof terrace (just before the rain really took its hold!). Because we were shopping, I left my camera in the hotel so our photos in this post are mostly from the iPhone, but you get the idea :). Obviously I had to get my photo taken outside of the iconic store, but as my Mister isn't the best photographer in the world, my eyes are closed!! Never mind, I was still there and it's so amazing to say I've been. If I ever have enough money to buy a Chanel bag I'll definitely be going back to Rue Cambon to get it...the service was amazing! Since returning home, I was emailed this short film all about Chanel in Paris and realised without really planning to do everything, I had managed to take the Chanel tour whilst I was there! You can watch it here. I was really excited to discover that Karl Lagerfeld still works in the headquarters above the Rue Cambon store, and that he may have even been there putting the finishing touches to his new collection whilst I was downstairs buying my goodies. Who knows?! 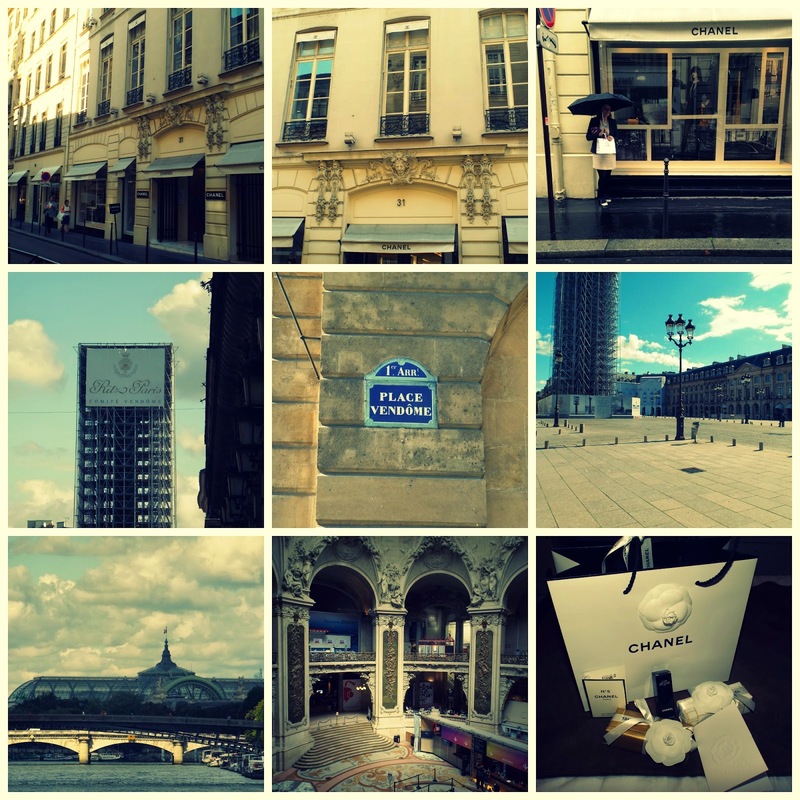 My tour of all the Chanel hot spots! So...I guess that concludes my Paris journey. I had such an amazing holiday, thanks so much for reading. Paris will always have my heart, I hope one day I'll get to visit again...here's hoping! I don't think I went into any shops when I went to Paris, I was too busy climbing up buildings for views. 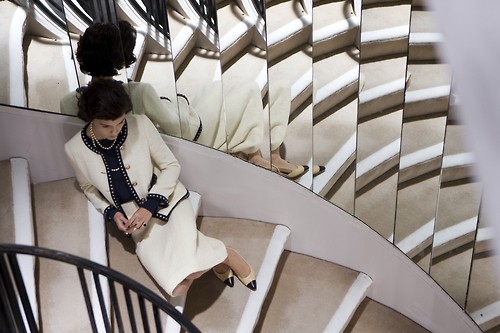 Good excuse to go back though - I'd definitely like to visit La Galeries Lafayette.